This new little gadget is so unnecessary. 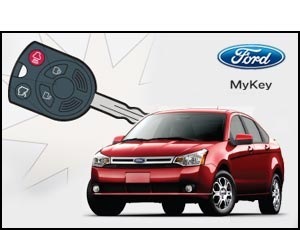 "MyKey" can literally make it impossible for the driver to go over certain speeds, or have the volume higher than a certain level. The parents set all of the rules. It's just not fair. All of these parents grew up without their parents doing this to them. Our parents grew up with the ability to have their parents simply rely on trust. That's not how it works these days and I'm mad about it. What if you have to speed up for emergency purposes? What if you legitimately can't hear the music or what someone is saying? What if you need to back up without a seatbelt on? It's also UNsafe, if ya ask me. To all of the kids who will have to deal with this, I am so very sorry. Hopefully your parents will become cool someday... Doubtful though.